The U.S. coal industry is in rapid decline, a shift marked not only by the bankruptcy of many mine operators in coal-rich Appalachia but also by a legacy of potential environmental and social disasters. As mines close, states, the federal government and taxpayers are left wondering about the costs of cleaning up the abandoned land, especially at mountaintop removal sites, the most destructive type of mining. As coal companies go bankrupt, this has left states concerned taxpayers may have to pick up the environmental cleanup costs. 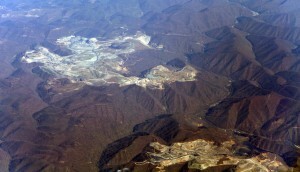 But there are also societal costs related to mountaintop removal mining’s impact on health and mental health. As an immunologist, I reviewed the research literature for specific effects of mountaintop removal mining on the immune system. I did not identify any pertinent information. However, I did find plenty of clues suggesting that health and mental health issues will pose enormous challenges to the affected coal communities, and will linger for decades. The communities that reside in proximity to the devastated lands where mountaintop removal mining occurs – some of the poorest in the nation – are concentrated in a 65-county area in southern West Virginia, eastern Kentucky, southwestern Virginia and northeastern Tennessee. They are also hit by the economic downturn caused by the decline of the local coal industry. Healthwise, Appalachian populations suffer disproportionately higher morbidity and mortality compared with the nation as a whole. A study that examined the elevated mortality rates in Appalachian coal mining areas for 1979-2005 linked coal mining to “socioeconomic disadvantages” and concluded that the human cost of the Appalachian coal mining economy outweighed its economic benefits. Results from research published in 2011 show that mountaintop mining areas, in particular, are associated with the lowest health-related quality of life even in comparison to counties with other forms of coal mining. So, what makes mountaintop removal mining such a scourge for human health? To remove the top of the mountains, coal companies use destructive processes. In order to extract the underlying coal seams, a peak’s forest and brush are clear-cut and the topsoil is scraped away. The resulting debris is often set on fire. Then, explosives are poured into huge holes to literally blast off up to 800 to 1,000 feet of mountaintops. Draglines – huge machines able to scoop up to 100 tons in a single load – push rock and dirt into nearby streams and valleys, damaging waterways and life associated with them. The result is not only a devastated landscape and the crushing of entire ecosystems, but also the dispersion in the environment of toxic pollutants. To learn more about the disastrous effects of this type of mining, see the outstanding review by EPA’s James Wickham and collaborators, which highlights the numerous impacts of mountaintop removal mining on water and land, along with those on biological diversity and human well-being. As a scientist recently converted to the field of environmental toxicology and human health, I appreciate the difficulties associated with studying the effects of mountaintop removal mining on Appalachian populations and showing clear associations between contaminants and human health. These people are exposed to a large number of different pollutants from the burning of trees and brush, huge explosions and the sludge produced when removing coal from rock. The sludge, for example, is a toxic mixture of soil, rock dust, water and coal fines, or particles. It contains heavy metals and other substances harmful to ecosystems and to health, and is often stored in large coal-ash ponds, similar to the one that collapsed in central Tennessee in 2008, spilling more than 500 million gallons of waste into the surrounding area. Exposure to complex contaminant mixtures occurs through the air and contaminated water, for long periods of time, often intermittently. That’s because explosions happen in a burst, releasing huge amounts of dust containing toxic substances. The dust eventually settles, until more blasts occur. It is not surprising, then, that most studies on the effects of mountaintop mining on human well-being are of a correlative nature and do not address causal relationships. That is, they show that when mountaintop removal increases, well-being decreases. However, they do not show that mountaintop removal directly causes a decline in well-being because of the nature of the pollutants and the nature of the exposure to them. Despite the intricacy of studying this area, links to adverse outcomes such as birth defects, cancer, and lung, respiratory and kidney disease, are undeniable. Human health impacts may come from contact with polluted streams, exposure to airborne toxins and dust, groundwater and related domestic well contamination, and consumption of contaminated fish. A recent study identified pathological mechanisms leading to cardiac dysfunction caused by exposure to a unique particulate matter, specifically released by mountaintop removal. And there are other adverse outcomes. Mining affects the social fabric, leading to the disruption of social connectedness. As such, it’s been linked to anxiety, insomnia and substance abuse. Although not everyone is susceptible to these effects, people who gain a strong sense of identity from the land are most likely to experience negative outcomes. Environmental philosopher Glenn Albrecht coined the term solastalgia as “a feeling of chronic distress caused by negatively perceived changes to a home and its landscape,“ which he observed in his native Australia due to the effects of coal mining. People who experience solastalgia lack the solace or comfort provided by their home; they long for the home environment to be the way it was before. In a study of Australia published in 2007, Albrecht and collaborators documented the dominant components of solastalgia linked to open-cut coal mining in the Upper Hunter region of New South Wales – the loss of sense of place, the feeling of threats to personal health and well-being, and a sense of injustice and/or powerlessness. Are there signs of psychological distress in coal areas of Appalachia as well? A survey-based study carried out in Appalachia indicated that individuals who experience environmental degradation caused by mountaintop removal mining are at increased risk for depression. The study showed that the odds of a score indicative of risk for major depression are 40 percent higher in areas subjected to mountaintop removal mining when compared to nonmining areas. Furthermore, the risk of major depression is statistically elevated only in mountaintop removal areas, and not in areas subjected to other forms of mining, even after statistical control for income, education and other risks. Any discussion of the mental health effects of mountaintop mining needs to be placed in the context of health care in general in Appalachia, which overall suffers from severe economic disadvantages and limited access to health care. For example, the life expectancy of women in the Appalachian region of Kentucky declined by 13 months from 1990 to 2011. In contrast, the life expectancy of women in the non-Appalachian region of Kentucky increased by nearly 11 months in the same period. When it comes to mental health, though, we need additional studies that demonstrate when there is more mountaintop removal (one variable), there are also more mental health issues (another variable), independent of control variables. An evidence-based approach, similar to the one I have described for the the field of ecotoxicology, could be used in laying out a strong scientific basis for action. Indeed, a systematic review of health outcomes associated with mining activities in rural communities in high-income countries (Australia, U.S., Canada, Italy and England) was published just a few months ago. However, the review results highlight there are few robust studies on the subject. Who should fund further studies and carry the burden of proof? In my view, the coal mining companies should be responsible for characterizing and quantifying the damage already done or currently undergoing. But as these companies are already dealing with environmental reclamation issues, it is very unlikely they will take on any research costs. Meanwhile, the costs of educating counselors and psychologists on the mental health effects of mountaintop removal mining, along with those associated with treatment, will fall on communities themselves. Unless a creative and pragmatic action plan is soon devised and implemented, we can expect solastalgia to accompany the life journey of Appalachian populations for years to come. The toxic metal contaminant lead, if elevated in adjacent and downstream environments, could easily be causing mental and other physiologic adverse effects that are accumulative in nature. There is research that indicates that it very often takes two to four times the learning experiences for exposed individuals to realize the consequences of their actions. This can have very severe societal effects. Any action plan should include XRF bone lead assessments across populations, to clarify if exposure and accumulative differences exist for lead….. and mercury has similar additive and synergistic adverse effects, both cognitively and with other physiologic degradations of individual and societal pathogenesis. Politicians usually erroneously see such investigation as inherently being politically and fiscally subversive, they think that monitoring ‘costs too much’, but really the just don’t have the guts to stand up for science to inform public health adequately. They fear industrial displeasure and lobbies that will withhold election funding essential to their jobs. Therefore, they will not support funding to any water quality agencies that ‘make waves’ by properly sampling, analyzing, and assessing pollution exposures and averse effects. This institutionalizes pervasive irresponsibility of government to withhold the scientific information to inform public health. Contrary to their belief, monitoring is very cost effective, and directly responsible for ability to discover our mistakes in time to correct them efficiently, SAVING vast sums of money, and preventing costly adverse health effects for living, breathing friends and neighbors to suffer. This antisocial paradigm is criminal, and is the result of granting corporations ‘personhood standing’ legally. However, if corporations utilize such standing for ‘premature profit-taking (before subtracting all costs), they become sociopaths in need of corrective management, and need to become subject to the costs of funding due diligence environmental monitoring essential for science to inform public health with integrity.